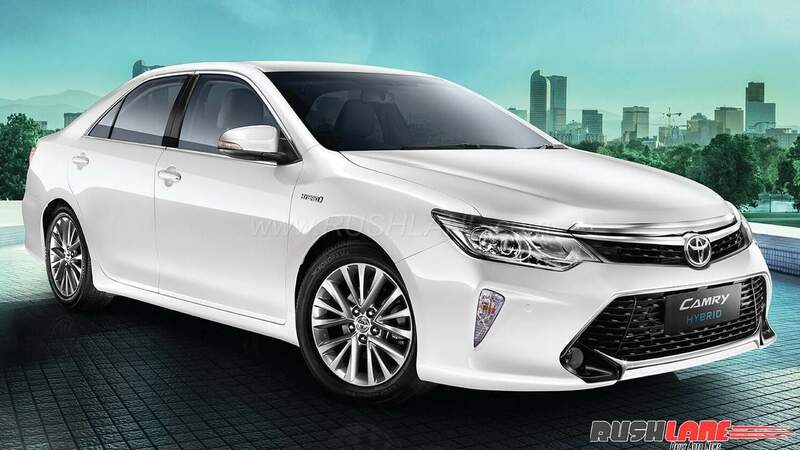 Toyota Camry Hybrid gets new features with dual tone cabin, wireless charging and navigation system. 2018 Toyota Camry Hybrid, with a price tag of INR 37.22 lakhs (ex-showroom), is officially launched in India. Though externally similar to its current counterpart, upgrades are seen in its interiors which are done up in a black and beige color scheme. Interior updates include a new three spoke multi-function steering wheel a wood finished dashboard with carbon accents, new central console design and door trims. It also gets an updated touchscreen infotainment system with navigation, Bluetooth, USB and AUX-In options. 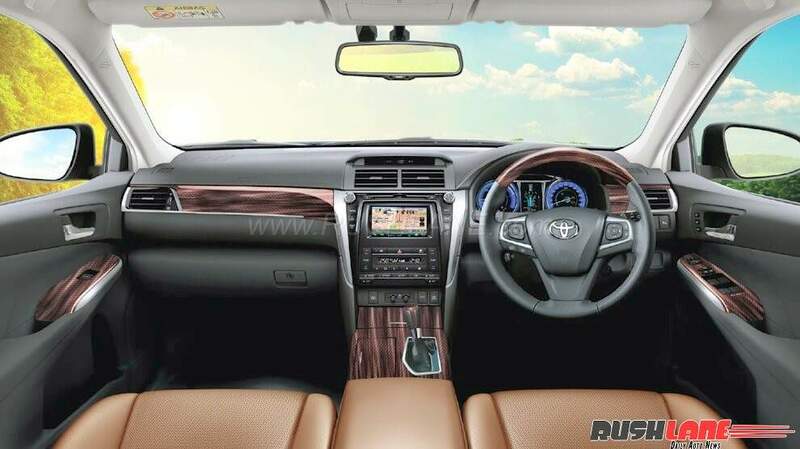 2018 Toyota Camry Hybrid for India also receives a 12 speaker audio system. Driver and passenger comfort levels are enhanced with 8 way adjustable front seats with lumbar support and memory function, a 3 zone climate control system and power reclining rear seats with collapsible headrests. Safety features also abound on the 2018 Toyota Camry Hybrid with a total of 9 airbags, ABS, EBD, brake assist, vehicle stability control and electronically controlled brake system. It is also seen with hill start assist and ISOFIX child safety seat mounting points. Camry Hybrid is powered by a 2.5 liter, inline, 4 cylinder engine offering 160 hp power at 5,750 rpm and 213 Nm torque at 4,500 rpm along with a 650V synchronous hybrid system capable of 143 hp power and 270 Nm torque. This model receives two driving modes of ECO and EV offering combined power of 205 hp. Toyota Camry Hybrid competes with the Honda Accord and Skoda Superb in its segment.